This beautiful downstairs end unit condo with 2 bedrooms, 2 baths, one car garage, New A/C, New Furnace, New Windows, and a spacious back patio is covered and perfect for entertaining. Light and bright natural lighting. Kitchen overlooks the living room area and eating area. Wood floors throughout, crown molding. Living room features a cozy brick fireplace for those chilly nights. Master bedroom has double door entry, high beam ceiling and walk-in shower in the bathroom. 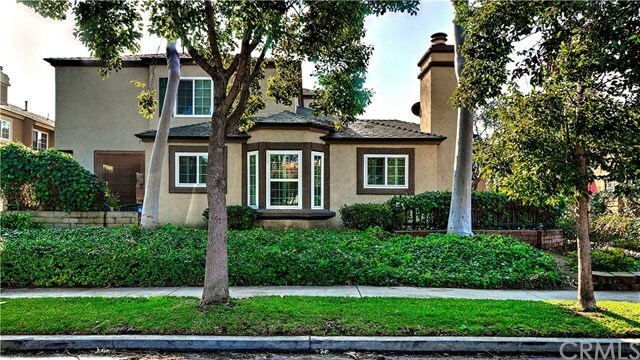 This home is conveniently located near grocery stores, restaurants, and the 22 freeway. This is an amazing opportunity to purchase an excellent home in a well kept quiet community.